Clarke, Wm. 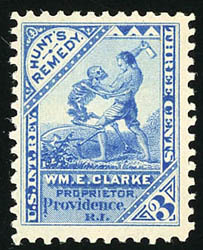 E., 3¢ blue, watermarked USIR, strong color, Very Fine and attractive, an lovely sound example of this popular stamp. Clarke, Wm. 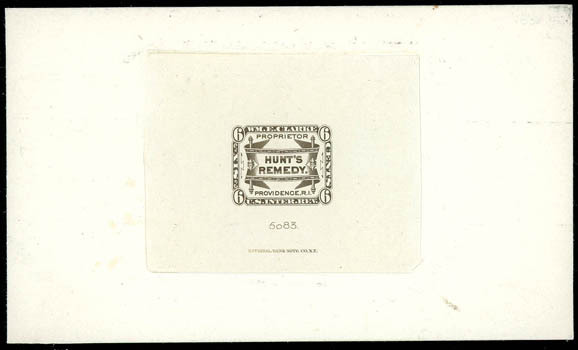 E., 6¢ brown, trial color large die proof, on India die sunk on card (127x75mm), with "5083" die number and NBN Co. imprint below, Very Fine. Clarke, Wm. 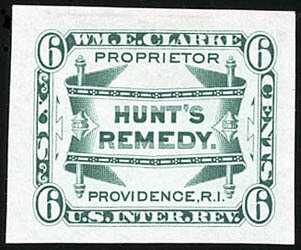 E., 6¢ green, trial color large die proof, on India, stamp size with wide margins, Very Fine and choice.